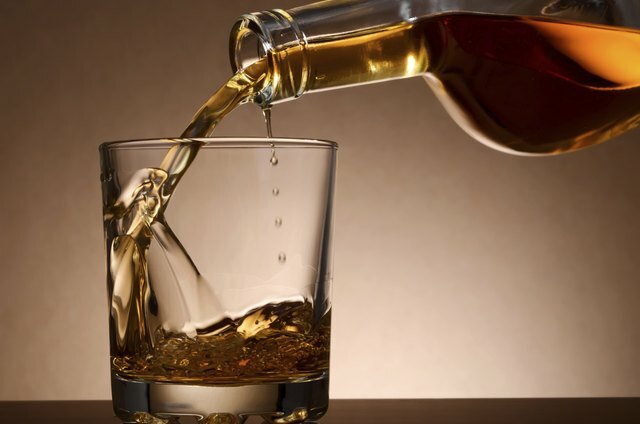 Whiskey, unlike libations such as beer and wine, doesn't require a large array of bar glasses suited for it. The glass you use for whiskey depends on how you plan to drink it: Do you want to sip, savor or take a shot? 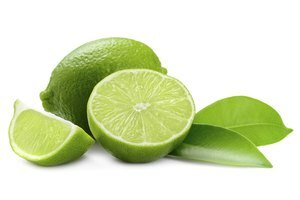 Quality also plays a role in choosing a glass. You might swallow regular and low-quality whiskeys quickly with a chaser, but a high-quality whiskey deserves a glass that showcases its traits. 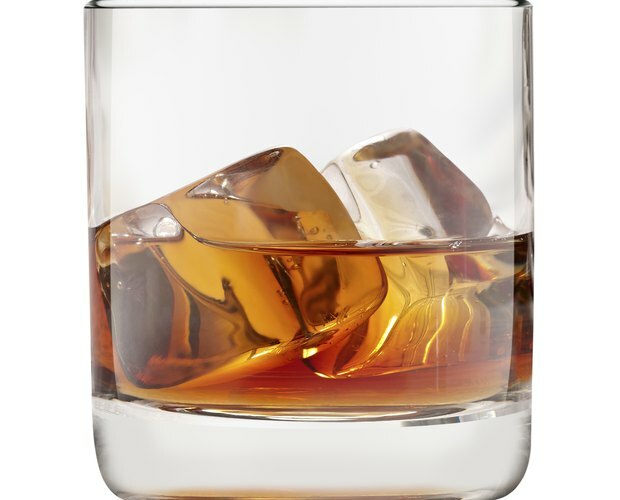 The whiskey tumbler or highball is a glass with straight sizes and typically holds 8 to 10 ounces. Use it to serve Scotch, Irish, bourbon or other whiskey straight or with ice (on the rocks) or for mixed drinks containing whiskey, such as a Manhattan or a bourbon and cola. Tulip-shaped and Glencairn glasses have a round bottom that becomes narrower before fluting out slightly at the top. Glencairn glasses are especially tall; connoisseurs of Scotch whisky use such glasses to savor the full aroma and taste of aged single-malts. The snifter is similar to the tulip but is wider and shorter and features a brim that is not fluted. The aroma of the whiskey collects high in the bowl, enhancing the flavor. 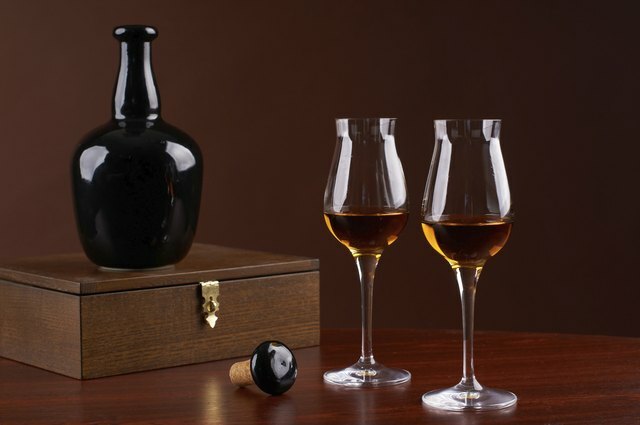 Like the tulip and Glencairn, a snifter appeals when you're sipping a whiskey worth savoring. 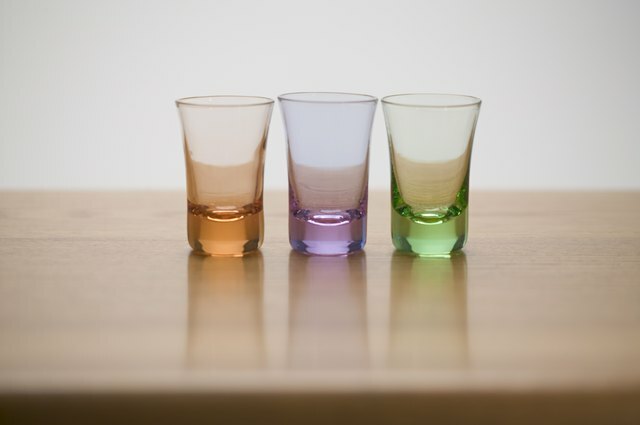 Shot glasses vary in shape but typically hold 1 to 2 ounces of liquor, to be consumed in one swallow. 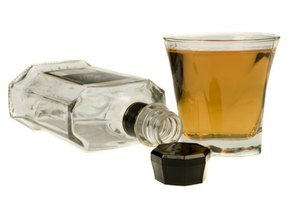 Drinkers often follow a shot of a lower-quality whiskey with a lighter chaser, such as beer or water, covering the taste of the shot. You also can sip from a shot glass. Whisky Distilled: Whisky Glasses: Which Is the Best?